You'll explore the less-touristy side of things at Eastern Beach Reserve and Phillip Island Wildlife Park. 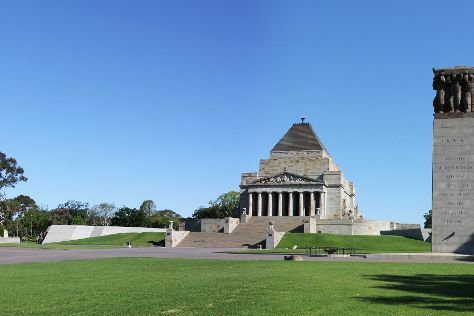 Deepen your sense of the past at sights like Shrine of Remembrance and St. Patrick's Cathedral. You'll find plenty of places to visit near Melbourne: Phillip Island Grand Prix Circuit (in Ventnor), Ballarat (Art Gallery of Ballarat, Ballarat Wildlife Park, & more) and St Augustine's Church (in Creswick). There's lots more to do: examine the collection at Melbourne Museum, steep yourself in history at Old Melbourne Gaol, enjoy breathtaking views from Eureka Skydeck 88, and take in nature's colorful creations at Royal Botanic Gardens. To find ratings, traveler tips, where to stay, and other tourist information, read Melbourne route website . If you are flying in from United Kingdom, the closest major airport is Melbourne International Airport. In May, plan for daily highs up to 20°C, and evening lows to 9°C. Wrap up your sightseeing on the 18th (Sat) early enough to travel to Uluru-Kata Tjuta National Park. Your cultural itinerary includes sights like Kata Tjuta and Kuniya Walk. Take a break from the city and head to Uluru and Lungkata Walk. Next up on the itinerary: admire the verdant scenery at Valley of the Winds, get outside with Walpa Gorge, explore the activities along Mutitjulu Waterhole, and hike along Uluru Hiking Path. For where to stay, photos, reviews, and other tourist information, use the Uluru-Kata Tjuta National Park trip maker app . Getting from Melbourne to Uluru-Kata Tjuta National Park by flight takes about 5 hours. Other options: drive. When traveling from Melbourne in May, plan for a bit warmer days in Uluru-Kata Tjuta National Park, with highs around 28°C, while nights are about the same with lows around 12°C. Wrap up your sightseeing by early afternoon on the 21st (Tue) to allow enough time to travel to Darwin. You'll discover tucked-away gems like Nature & Wildlife Tours and Buley Rockhole. Do some cultural sightseeing at St Mary Star of the Sea Catholic Cathedral and 1934 Qantas Hangar. Explore Darwin's surroundings by going to Litchfield National Park (in Batchelor) and Florence Falls (in Litchfield National Park). The adventure continues: take an exotic tour of a safari tour and stroll through Mindil Beach. For other places to visit, reviews, more things to do, and tourist information, refer to the Darwin road trip tool . 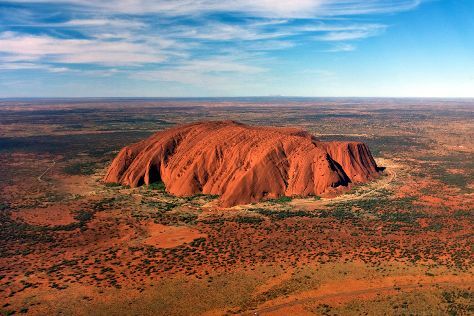 You can fly from Uluru-Kata Tjuta National Park to Darwin in 11 hours. Alternatively, you can drive. Expect a bit warmer weather when traveling from Uluru-Kata Tjuta National Park in May: highs in Darwin hover around 38°C, while lows dip to 26°C. Finish your sightseeing early on the 25th (Sat) to allow enough time to travel to Cairns. Eschew the tourist crowds and head to Wildlife Habitat Port Douglas and Josephine Falls. Visiting Scuba & Snorkeling and Esplanade Boardwalk will get you outdoors. Change things up with these side-trips from Cairns: Hartley's Crocodile Adventures (in Palm Cove) and Port Douglas (Four Mile Beach & Safaris). Next up on the itinerary: head off the coast to Michaelmas Cay and pause for some serene contemplation at St Monica's Cathedral. To see reviews, traveler tips, photos, and tourist information, go to the Cairns trip itinerary builder tool . You can fly from Darwin to Cairns in 4.5 hours. Other options are to drive; or take a bus. Expect a bit cooler weather when traveling from Darwin in May: highs in Cairns hover around 32°C, while lows dip to 24°C. Wrap up your sightseeing on the 30th (Thu) early enough to travel to Sydney. 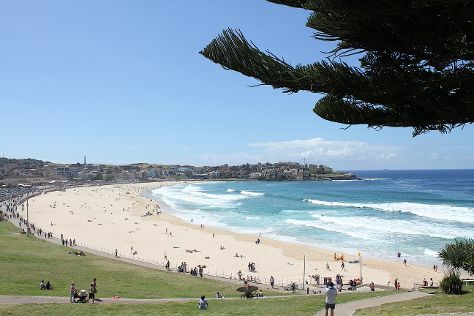 Take a break from the city and head to Bondi Beach and Dolphin & Whale Watching. Satisfy your inner culture vulture at The Rocks and Darling Harbour. You'll find plenty of places to visit near Sydney: Katoomba (Wentworth Falls & Canyoning & Rappelling Tours). There's lots more to do: catch a live performance at Sydney Opera House, pause for some photo ops at Mrs Macquarie's Chair, enjoy the sand and surf at Clovelly Beach, and admire the natural beauty at Royal Botanic Garden Sydney. To find where to stay, reviews, other places to visit, and tourist information, refer to the Sydney trip builder site . You can fly from Cairns to Sydney in 6 hours. Alternatively, you can drive; or take a train. Traveling from Cairns in May, expect Sydney to be little chillier, temps between 24°C and 14°C. Finish your sightseeing early on the 3rd (Mon) so you can travel back home.